The case in Mercer County Superior Court in which Princeton student-athlete Devin Cannady is charged with multiple offenses, including assault on a police officer, is currently in a holding pattern in the prosecutor’s office at Trenton, N.J. Although it has been assigned a case number, no formal court proceeding has yet taken place, since an investigation is still pending. The next step will be determined after the prosecutor’s investigation. So far there is nothing official, only press reports about the incident on January 19th. They describe a heated and decidedly not Princeton-like disturbance in an off-campus Wawa convenience store in the wee hours of the morning. Princeton is in a first place tie with Yale, each with a 2-0 record, and are the only undefeated teams in the young Ivy League season. But for the Tigers to remain unscathed, or even on the road to success, they will need to overcome an unexpected handicap. They will have to play most, if not all, of their remaining games, without Cannady, their leading scorer. Many colleges lose players throughout a season, most because of injuries, some due to academic deficiencies, others for disciplinary reasons, and several because of a desire to transfer to another institution. But what happened to Cannady was none of those. And that’s why followers of the prestigious Ivy universities are surprised, shocked, and disappointed, although the absence of Cannady may make the others believe they will now be getting a break when they face Princeton. Even Pennsylvania, which has already lost twice to the Tigers (with Cannady in the lineup), could have an easier time if they play their arch rival a third time in the Ivy Tournament. The national media has hardly given this story the same amount of coverage as it would if it had happened at a big-time basketball school. 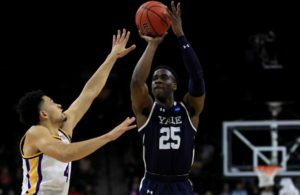 But it is very significant to us here at RoundballDaily.com, because we are one of the few sites that give the Ivy League regular and extensive attention. 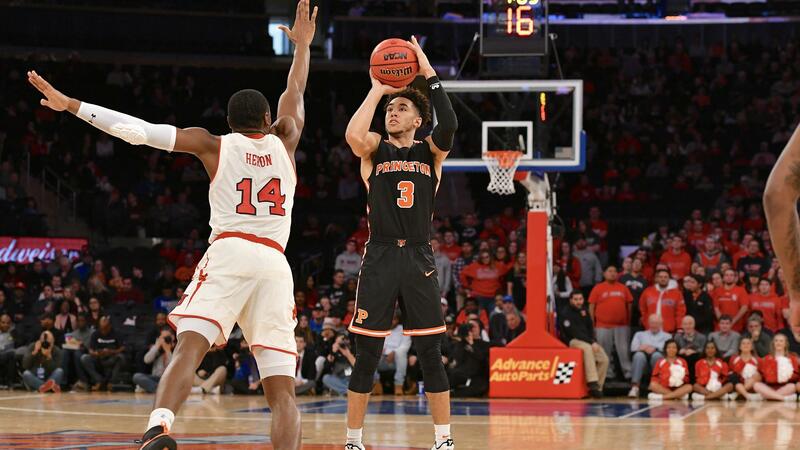 The Princeton senior and high scorer of the basketball team has been the center of an incident that resulted in a few criminal charges being placed against him. Princeton had no game scheduled after Cannady’s arrest until last Sunday (Jan. 27th). The Tigers, who in the past several years had been facing a Division III school after the exam break and prior to their first league game, went against Wesley, a small college in Dover, Delaware, comparatively unfamiliar even to Ivy League hoop fans. As expected, Princeton did not miss Cannady, winning 91-62 against a spunky but overmatched opponent. The words “down the stretch” could be taken to mean “the rest of the season,” since there are only 12 more games within the six weeks left on the schedule, not including the Ivy tournament if Princeton gets there. With Cannady in the lineup it was a foregone conclusion that Princeton would be one of the four teams, if not the top rated one, to qualify for the post season event. But now it remains to be seen how far it will go without him. After the outing against Wesley, reporters asked Henderson if he expects Cannady back this season. The coach responded the only way he could, given the privacy and confidentially rights college students now have. 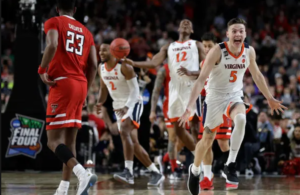 “We’re hopeful,” he replied, and added that the basketball people are reviewing everything and working closely with all the parties involved, including the University. 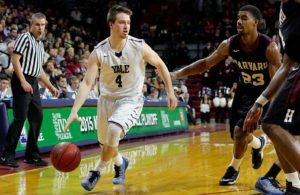 The situation is akin to when the basketball captain of Yale, Jack Montague, was expelled from that university in 2016 for sexual misconduct, for which a lawsuit challenging the action is still pending. Now, at Princeton, Mitch Henderson is in the same position. The Princeton coach is under constraints not to discuss the loss of his star player and what, if any, the prospects are for his return. The scenario could go as far as Cannady being arraigned, entering a plea of not-guilty or guilty, and being assigned a trial date or a sentencing date. It could be a complicated and time consuming process. Even if things turn out in Cannady’s favor, it is doubtful it could be over in six weeks time. And since Cannady cannot practice with the team during his suspension, even if he returns how could he be expected to pick up where he left off? Sad for Princeton. Sadder still for Devin Cannady.